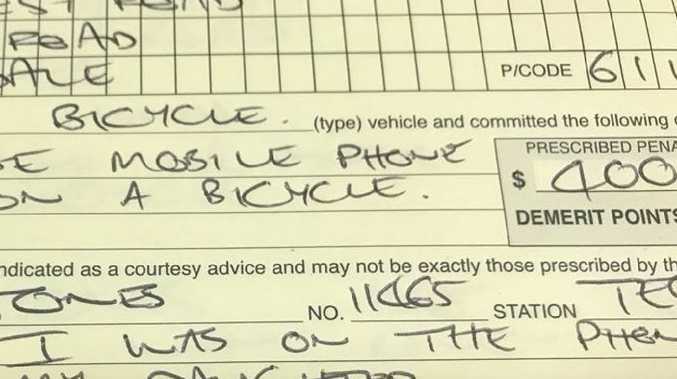 A CYCLIST has copped a $400 fine after police caught him riding his bike without a helmet while talking on the phone. The rider was spotted openly chatting on his phone while cycling down a street in Armadale, Perth and as a result was slapped with the massive fine and three demerit points. WA Police uploaded a picture of the fine to Twitter as a warning to other riders that this behaviour will not be tolerated. "No you cannot ride your bike on the road without a helmet AND talk to your daughter on the phone," the tweet read, with the hashtag, "cyclists are not exempt". The cyclist was handed the same fine a driver would be if they were caught using their phone while behind the wheel. But some people didn't agree that cyclists should be held to the same standards as motorists. 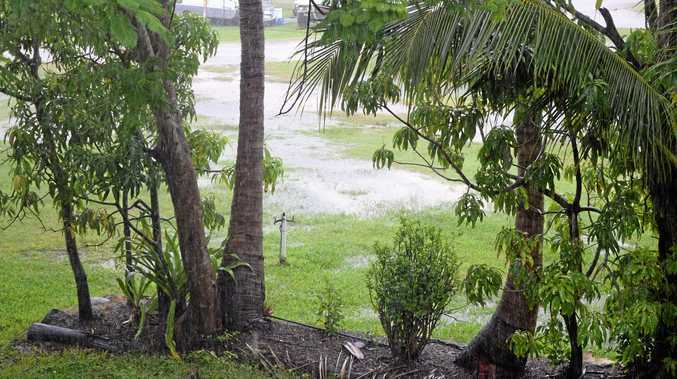 "How pathetic … and made even more so by your need to publicise it," one person said. "I estimate that there are 200 countries in the world where this would not raise an eyebrow, let alone cause a (hefty) fine. I just find this hard to fathom. It's a person on a bicycle, making a phone call," another wrote. One added: "$400? Jeez, fair enough for a car driver that could kill people, but tweeting like you're proud of this one?"